Q. My employees earn an average of £490 per week, how much more NI will I have to pay for each employee from April 2011? A. For an employee on average earnings of £490 per week you currently pay employer’s NIC of £48.64 per week in 2010/11, but from 6 April 2011 this NIC bill increases to £48.85 per week. That adjustment appears small but it amounts to £10.92 per year per employee. The increase in NIC costs will be much larger for higher paid employees, but smaller for lower paid employees. For an employee on £210 per week, you pay employer’s NICs of £12.80 per week in 2010/11, but this will drop to only £10.21 per week in 2011/12. Q. I had taxable income of about £60,000 in 2009/10, made up entirely of dividends and bank interest. I also pay £2,400 per year into a personal pension. Will I get 40% tax relief on that pension contribution? A. You will receive higher rate tax relief on your pension contribution if you make the claim on your tax return for 2009/10. A contribution of £2,400 is worth £3,000 to your pension fund as the pension scheme trustees reclaim £600 basic rate tax from HMRC. Your basic rate tax limit will be expanded to £40,400 by the gross value of your pension contribution. Which means £3,000 of dividends which would have been taxed at the higher rate applicable to dividends of 32.5%, will be taxed at 10%, saving you an additional 22.5% in tax, or £675. Q. Our trade body charges a membership fee in advance for each calendar year, but from 1 December 2010 new members who join online can pay the annual fee for 2011 and become a member immediately, effectively receiving the balance of the 2010 membership period for free. The organisation is VAT registered and the membership fee is subject to standard rate VAT. Is it correct to charge new members 20% VAT when they join online in 2010? A. The organisation should charge VAT at the standard rate in force at the date of the tax point for the membership subscription. This tax point is the earlier of the date the membership fees is received or the VAT invoice is issued. For new memberships paid for before 4 January 2011, the correct rate of VAT to charge is 17.5%, even where the membership covers the whole of the year 2011. Q. My husband inherited a house in 1986 when it was worth £40,000. He gave me a half share in the property in 2009 when it was worth £450,000. We sold the property in December 2010 for £460,000, but we never lived there. How do I calculate my share of the profit? A. As you and your husband were living together during the tax year in which he gave you a half share in the property, that gift is deemed to be made at a value that creates no gain and no loss for your husband. Thus in 2009 he disposed of half the property to you at a value of £20,000, the tax cost of which was half the probate value: £20,000. Hence he makes no profit on his gift (£20,000 – £20,000 = nil). The market value of the property in 2009 is irrelevant. You acquire the half share in the property in 2009 at a deemed cost of £20,000. When the property was sold in 2010 your share of the proceeds was £230,000 (£460,000/2) and the cost of your half share was £20,000. Your share of the profit (taxable gain) is £210,000 (£230,000 – £20,000). Your husband has also made a taxable gain on the sale of the property of £210,000. You can both deduct an annual exemption of £10,100 from your share of the gain, but the balance of the gain will be subject to capital gains tax. Q. In January 2008 I formed C Ltd with my wife, we were both directors and held 50% of the shares each. In March 2010 we split up, her shares were transferred to me and she also resigned as a director. C Ltd ceased trading in July 2010, and it will be wound up informally. Can I claim entrepreneurs’ relief on the whole of the capital distribution paid to me on the winding up, or will just part of the distribution qualify because I only held 100% of the shares for the last 4 months that C Ltd traded? A. You qualify for entrepreneurs’ relief on gains arising from all your shares in C Ltd, as you held at least 5% of the ordinary shares for 1 year up to the date the company ceased trading, and you were also a director of C Ltd throughout the last year of trading. Therefore any shares you held in C Ltd qualify for entrepreneurs’ relief, and you will pay capital gains tax at 10% on the capital distribution (after deduction of your annual exemption of £10,100), rather than tax at 28% or 18%. Q. I’ve heard that tax relief on childcare vouchers is changing from April 2011. How can I maximise the tax relief from this scheme while it lasts? A. Employers can currently supply their employees with childcare vouchers worth up to £55 per week, which are completely free of tax and NI. However, employees who join the childcare voucher scheme from 6 April 2011 will only be able to receive vouchers worth £28 per week, if they pay tax at the 40% rate. Those employees in the childcare voucher scheme before 6 April 2011 will not have the value of their vouchers limited, and neither will employees taxed at the basic rate of 20%. To gain maximum advantage from the scheme you need to bring into your childcare voucher scheme as many employees as qualify before 6 April 2011. Unfortunately employees who are not yet parents, or do not have parental responsibility for a child aged under 16, do not qualify to join the childcare voucher scheme. The childcare vouchers can only be used to pay for childcare provided by a registered or approved childcarer. Q. I’ve been told I will have to pay all my business taxes online very soon. How can I do this if I don’t have internet banking? A.It will be compulsory to pay corporation tax electronically from 1 April 2011, and to pay all VAT due electronically from 2012. However, there are no plans to make all PAYE or CIS payments electronic, yet. Electronic payments include direct debits, debit and credit card payments. You don’t have to have internet banking, you can set up electronic payments with your bank by using telephone banking. If you would rather pay your tax bills by cheque you can do so using a Bank Giro payslip at your own bank branch. This counts as an electronic payment, as do similar payments made at the Post Office counter by cheque, cash or debit card. You need to order the Bank Giro payslips specific to your business from HMRC. Q. My rental property makes a profit of £2,400 a year. I checked the HMRC website and it says I don’t have to complete a tax return. Does that mean I don’t have to pay tax on my property profits? A. Although the HMRC website (www.hmrc.gov.uk/sa/need-tax-return.htm) says you don’t have to complete a tax return if your income from property is less than £2,500, you should scroll down and read the text under ‘Things to check if you don’t need a tax return’. This makes it clear that you must tell the Tax Office about any new sources of income. The deadline for reporting new income is 5 October following the tax year in which the new income first arose. If this date passed sometime ago you need to contact the Taxman as soon as possible and declare all your income and expenses relating to your let property. The Taxman may decide to charge you a penalty for failing to declare your income at the right time. You do have to pay tax on your property profits, but if the amount owing is small compared to your salary, it may be deducted through your PAYE code. In this case you don’t need to complete a tax return each year, but without an annual tax return the Taxman will not know to vary your tax code if your rental profits increase or decrease. Q. I try to run my business on green principles so all the company cars are hybrid petrol/electric models. But I’ve heard that the car benefit is going to increase for all these cars from April, how is this going to affect my employees? A. The good news is where your hybrid cars have CO2 emissions levels of 120g/km or less, the taxable benefit will remain at 10% of the list price. The tax increase will only apply to cars with higher CO2 emissions. Hybrid petrol/electric cars in this category currently get a 3% reduction in the percentage of list price that forms the basis of the car benefit charge for employees. From 6 April 2011 that discount will be removed, and the regular 1% increase in list price percentage will apply to all cars. For example the taxable benefit for a hybrid car with CO2 emissions of 179g/km is currently 21% of the list price. From 6 April 2011 the benefit for this car will increase to 25% of its list price. Q. I generally invoice about £5,000 per month, some £60,000 per year, so my business is not yet VAT registered. However, from 1 April a new customer will provide an additional £2,000 of sales per month. When exactly will I have to register for VAT? A.You currently have a margin of £13,000 between your regular sales and the new VAT registration threshold of £73,000 (from 1 April 2011). Your new income will fill that margin in 7 months. If your regular sales remain constant your turnover for the past 12 months will exceed £73,000 in mid October 2011. You will need to register for VAT by 30 November 2011. As the VAT registration process can take at least a month, you should send in your application for VAT registration (online or in paper form) as soon as you realise your sales have exceeded £73,000. On that form be careful to state the date from which you become liable to register for VAT, even if that is some weeks in advance. Q. My PAYE tax code is 647L, but the websites I’ve looked at say it should be 747L, which is correct? A. The personal allowance for individuals aged under 65 for the tax year 2010/11 (which ends on 5 April 2011) is £6,475. If you have no deductions to set against your personal allowance your tax code for 2010/11 should be 647L. The standard personal allowance for the tax year 2011/12 (from 6 April 2011 to 5 April 2012) will be £7475, so your tax code for 2011/12 will be 747L. Q. I work through my own UK company that has secured a 6 week contract to be performed in Amsterdam. I plan to stay with my cousin in Amsterdam while working on that contract. As I won’t have receipts from a hotel, what can I claim as expenses? A. HMRC set benchmark scale rates for business trips in most countries. These cover costs for accommodation, meals, and other sundry expenses known as the residual rate. Your company can reimburse your expenses at the benchmark scale rates without receipts. However, if you are staying with a friend or relative and do not pay for accommodation or meals you can only reclaim 10% of the residual rate for the area. Where you pay for some meals (e.g. lunch) you should claim the specific meal rate or the actual expense supported by receipts. 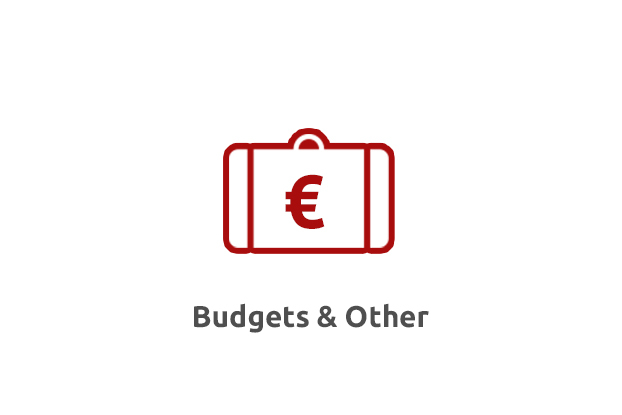 On top of these expenses you can also claim personal incidental expenses of £10 for every night that you are working abroad. Q. My business is to become VAT registered from 1 June 2011, but before that I will be taking delivery of a piece of equipment which will be used by the business for a number of years. Can I reclaim the VAT charged on the cost of the equipment even though the purchase was made before my VAT registration came into force? A.Yes you can. VAT on equipment and goods purchased up to 3 years before you became VAT registered can be reclaimed, if you still held that equipment or goods at the date VAT registration became effective. You must also have the original invoice. You can reclaim the VAT paid on your first VAT return, or on any VAT return within the first three years of becoming VAT registered. Q. Help! I’ve received two tax calculations from the Taxman that say I owe £4,500 for 2007/08 and £7,200 for 2008/09. I didn’t complete tax returns for those years as I was employed in several short-term contracts. What should I do? A. First check the tax computations. The calculation for 2008/09 probably includes the tax due brought forward from 2007/08, so you may only owe £7,200 not £11,700 (£7,200 + £4,500). Next try to find your P60 and P45 forms, and any payslips for those tax years, and check the figures on those forms against the tax calculations. We can help you with this. Don’t worry if you haven’t retained those papers as the law only requires you to keep then until 31 January 2010, or 31 January 2011 for the later year. If you had good reason to believe that your tax affairs were in order for 2007/08 you may be able to ask HMRC to write-off the tax underpaid from that year under Extra Statutory Concession A19. You can also ask for the tax for 2008/09 to be collected over 36 months, if it is actually due. Q. Last year my company bought a second hand Mercedes AMG for £68,000. This has proved to be an expensive taxable benefit, so I’m trading it in for a cheaper model. I hope to get about £40,000 in the part-exchange and pay an additional £5,000 for the new car. What capital allowances will my company be able to claim for the old and new cars? A. The Mercedes AMG has CO2 emissions of more than 160g/km so the purchase price would have been added to your company’s 10% capital allowances pool. Capital allowances of £6,800 (10% of £68,000) will have been claimed for the first year of ownership. The trade-in value of £40,000 will be deducted from the pool leaving a balance of £21,200 (£61,200 -£40,000). This balance will be reduced by capital allowances of 10% for this year, and 8% from 1 April 2012, until the balance is less than £1,000 or company ceases to trade. So it’s going to take a long time to get full tax relief for the value of the Mercedes. If your new car also has CO2 emissions of 160g/km or more, the cost of £45,000 will be added to the 10% pool, and annual writing down allowances will be given as for the Mercedes. To avoid this problem with the new car you could look at either buying it privately, or getting the company to lease it. Q. In 2009 my family and I moved out of the home I owned and rented a house near my daughter’s school. I have recently sold the original home. Do I qualify for the capital gains tax exemption on that property, even though I wasn’t living in it when it was sold? A.Yes you do qualify for the tax exemption. As you sold your former home within three years of moving out, all of the gain arising on the sale of property will be exempt from capital gains tax. This assumes you occupied the property for all of the period that you owned it, before you moved out. You do not have to declare the gain on your tax return. Q. On 15 April 2011 I received severance pay of £80,000 equal to my annual salary, but I was surprised that £23,000 was deducted as tax. I was led to believe the first £30,000 would be tax free and the rest would be taxed at 20%. Can I reclaim the excess tax deducted? A. It is likely that the first £30,000 of your severance award was tax free, if it was a genuine redundancy payment. This is not always the case as a number of strict conditions must be met. In the past when such severance payments were paid after the individual had received their P45 form, a BR (basic rate) tax code was applied to the payment which meant only basic rate tax at 20% was deducted. However, since 6 April 2011 employers are required to apply an OT tax code on a month 1 basis to such severance payments. This means that tax is deducted at the basic, higher and additional rates without the benefit of the personal allowances. The month 1 basis means only 1/12 of the basic rate and higher rate limits for the year are taken into account. You can reclaim the excess tax charged in your tax return for 2011/12. Q. I’ve received a letter from the Taxman asking for my tax return for the year to 5 April 2010 to be submitted. But I submitted that tax return in September 2010, and I’ve paid all the tax due for that tax year. Do I have to submit that form again? A. No. The letter you have received from the Tax Office is a mistake. About 40,000 of these standard letters (Notices SA316) have been printed with the wrong tax year: 2009/10 rather than 2010/11. You should receive another notice SA316 asking for the tax return for 2010/11, and a letter of apology concerning the mistake. Q. I’ve always prepared the accounts for my own company and submitted them to Companies House and the Tax Office with no problems. However, this year the Taxman sent back my company’s accounts and tax return saying they were in the wrong format. I’m confused. What have I done wrong? A. Company accounts for periods ending after 31 March 2010 that are sent to the Tax Office on or after 1 April 2011 must be submitted online in iXBRL format. Please ask us if you would like help in submitting your company accounts and tax return online. Q. My company pays a business subscription to Linkedin, the business networking site. It allows me to make business contacts that generate work for me. Is the Linkedin subscription a tax allowable expense for my company? A. The Linkedin subscription is tax allowable for your company as it is a means to generate work for the business. However, there may be a benefit in kind charge for you if the Linkedin subscription is raised in your name rather than in the name of your company. If this is the case the company is paying your personal liability (the subscription fee). As Linkedin does not appear on the list of approved professional organisations whose subscriptions are tax allowable for employees, the Taxman will argue that there should be a personal tax charge. It will be necessary to prove that there is only a business purpose to the subscription. Q. My wife and I acquired a cottage in 2002 and let it as furnished holiday lettings from 2005. We ceased advertising the property this year and it is now on the market. Will we get the lower 10% rate of capital gains tax on any profit we make on the property sale? A. Yes, as long as the property is sold within three years of the date the holiday lettings business ceased you should both qualify for entrepreneurs’ relief on the gain. This relief gives you the lower 10% rate of CGT after deduction of your annual exemption, for gains of up to £10 million per person. Q. I’ve heard I could reduce inheritance tax by leaving money to charities in my Will. How does this work? Do I have to leave a minimum amount? your available nil rate threshold. For deaths after 5 April 2012 it is proposed that the rate of IHT paid will be reduced to 36%, if at least 10% of the net estate is left to charity. Your net estate is the amount on which IHT would be charged without considering the charitable gifts. You may need to redraft your Will to ensure your estate qualifies for this tax discount. Q. I earn £30,000 p.a. taxed under PAYE, but also have a variable amount of rental income. I have read that 40% tax applies above £35,000 but I’ve also been told I can earn £42,475 before paying 40% tax. How much rental income can I receive before paying 40% tax? A. The 40% tax rate applies in the current tax year (2011/12) on taxable income above £35,000. This is your total income (earnings, rentals and any interest or dividends) less your tax free allowance of £7,475 and any other valid deductions, such as expenses relating to your rental income. So you can have gross income before deductions of £42,475 (£35,000 + £7,475) before you have to pay 40% tax. However, you must declare any rental income you receive to HMRC. Q. My employees are occasionally required to work late in the evening. If I pay for taxis to take them home is that cost tax allowable for the business and will the employees be charged tax on the taxi fare? A. Where an employer pays for the travel costs of an employee for a journey between home and work (i.e. commuting), that cost would normally be a taxable benefit in kind for the employee. However, there is currently a particular tax exemption for late night taxis used when it occurs irregularly, the employee is required to work later than usual and until at least 9pm and at the time the employee finishes work either public transport was unavailable or it would be unreasonable to ask the employee to use it. It also applies where car sharing arrangements have broken down. In these cases the cost of the taxi is not taxable on the employee. But you can only use this tax exemption up to 60 times per year per employee. You need to keep accurate records of why each employee took a taxi to get home and the timing of those journeys. This tax exemption for late night taxis is due to be abolished from April 2012, so you may need to reconsider your employees’ travel arrangements in future. The cost of taxi journeys for employees on business or to or from work will always be tax allowable for the business. Q. I received my self-assessment statement and payslip on 17 August 2011, which shows tax due to be paid by 31 July 2011. I paid the tax due as soon as I could, but I am now worried that I will get charged interest and a penalty for late payment. A. The late issuing of these statements was due to a lack of paper at HMRC’s printers! As the delay was essentially their fault HMRC has decided to waive the interest due, as long as the tax payment is received by 27 September 2011. However, this interest free period only applies to the second payment on account of income tax for 2010/11, due by 31 July 2011. Any other late tax payments, such as tax due by 31 January 2011 will accrue interest as normal. Q. My son worked for a company that has gone into liquidation. The Tax Office are refusing to acknowledge the student loan repayments which were deducted from his salary in 2010/11 and pass those repayments on to the Student Loans Company. What can he do to get his student loan records corrected? A. This can happen when the company folds before submitting its end of year PAYE return: form P35. This form shows the totals for all the deductions taken from each employee during the year. Your son needs to provide HMRC with any evidence he has of the student loan repayment deductions, such as original payslips or his form P60 for the tax year. HMRC should then pass this information onto the Student Loans Company who will correct his payment record. Q. I recently applied for VAT registration for my business as the turnover had exceeded the compulsory registration threshold. Now I’ve had a call from the VAT office asking to come and see me. What have I done wrong? A. A visit to a newly registered business is now normal practice for VAT officers, particularly where the first VAT return shows a repayment due. The VAT inspectors will want to see the invoices for your first VAT period, and be assured that you know how to keep adequate business records. We can sit in on the VAT visit to provide back-up for any difficult questions if you wish. Q. My café was badly damaged in the recent riots, but my loyal customers have collected £3,000 to help me open the business as quickly as possible. How should I treat this sum for tax purposes? Is it a personal gift, or a contribution to be set against my repair costs? A. The taxman would view that this gift from your customers should be treated as income for your business for income tax or corporation tax purposes. You are likely to have a lot of repair expenditure to set against your income for the current period, so you may well not have a profit to declare even after including the gift as income. Q. I’ve received a tax refund for 2010/11, but I’m worried that it’s not correct as I usually have tax to pay each year. Also I haven’t even submitted my 2010/11 tax return yet. A. You are right to be worried about the tax refund, as the Taxman’s computer has issued some incorrect refunds recently. If you normally complete a self-assessment tax return but also have some income taxed under PAYE, the computer should wait until your tax return has been submitted before calculating the tax to be refunded. In a few cases this has not happened, and the tax refund has been based only on the taxpayer’s PAYE income. Please ask us to check the tax calculation that should have arrived with your refund cheque. Q. The Tax Office has written to me saying £2,800 tax I owe will be collected by restricting my PAYE code for 2012/13. What does this mean? A. The Taxman is now permitted to collect up to £3,000 of unpaid tax or overpaid tax credits through PAYE codes. Your PAYE code tells your employer how much of your income to treat as tax free, and thus how much tax to deduct from the rest. A common PAYE code for 2011/12 would be 747L, which gives you tax free income of £7,475 for the year. If you owe £2,800 in unpaid tax, and your highest marginal tax rate is 40%, your tax free income will be reduced by £7,000 (£2,800/ 40%), leaving you with tax free income of £475 and a PAYE code of 47L. The numbers will be slightly different in 2012/13, but essentially you will pay more tax each month from April 2012 until the tax debt is eliminated. Q. I left London on 5 May 2010 to work full time for a Danish company in Copenhagen. My own UK-based company ceased at that time, and I received a capital payment on 30 November 2010. As I received that money after I left the UK permanently, do I have to pay UK tax on the pay-out? A. Unfortunately yes. Although you may be regarded as not resident in the UK for income tax purposes from 5 May 2010, you do have to pay UK capital gains tax on the gain made in November 2010. The tax year is not split for capital gains tax, as it can be for income tax. If you are resident in the UK in any part of the tax year, you are taxed in the UK on gains made in that tax year, even if the gain is made after you have left the UK permanently. Q. I’ve received an alarming letter from the Taxman about a private bank account I held in Switzerland from 2000 to 2005. I didn’t include the interest from that account on my tax return as I thought it wasn’t taxable in the UK. What should I do now? A.The Taxman is writing to around 6,000 individuals and organisations that held accounts with a private bank in Geneva, based on a list of accounts stolen from that bank in 2006. Unless you had non-domicile status when you held your Swiss bank account, which may have permitted you to be taxed only on funds brought into the UK, you should have declared the Swiss account on your UK tax return. You need to come clean now, and pay the tax due on your Swiss bank account interest to the UK tax office. If you delay, the Taxman will open a serious fraud enquiry into your tax affairs. Talk to us about how to confess all to the UK tax authorities. Q. The Taxman has hit me with a huge penalty for paying my company’s PAYE late in 2010/11. But I’ve always paid my PAYE on time. What’s going on? A. PAYE deductions paid late to the Tax Office (HMRC) from 19 May 2010 attract automatic penalties. ‘Late’ means the cheque reached HMRC after the due date of 19th of the month or the electronic payment cleared the HMRC bank account after 22nd of the month or the last banking day before that. The HMRC bank accounts do not accept ‘faster payments’, which clear through most bank accounts in 4 hours. HMRC needs 3 working days to accept an electronic payment. You should have received a warning letter about your first late payment in 2010/11. If you believe you had a reasonable excuse for paying late you should appeal against the late payment penalty. We can help you with that. Q. I own a number of rental properties; a mixture of self-contained flats and houses. I’ve received an email from a property expert that says I can claim capital allowances as a percentage of the cost of these properties, which will produce a guaranteed tax refund for me. Is that true? A. No, this is not true. Capital allowances cannot be claimed for equipment or fittings used within residential properties, which the Tax Office refer to as ‘dwelling-houses’. There is an exception for properties that qualify as furnished holiday lettings, when each letting must generally be for short periods of less than 30 days. If you make a capital allowance claim for your rental properties it may be passed by the Tax Office, under their ‘process now, check later’ system. But when the Tax Inspector checks your claim it will be refused, any tax refunded will have to be repaid with interest, and penalties will be charged. This can happen up to 20 years after you submitted the incorrect claim! Q. My employer has given me a form P11D, which shows that I am taxed on the cost of my smart phone. I thought each employee could have one tax-free mobile phone, so why am I taxed on my only mobile phone? A.Tax Officials think smart phones are computers rather than phones, so don’t want to apply the ‘one free mobile per employee’ rule, when the mobile phone is a smart phone. However, this can work in your favour if the private use of the smart phone provided by your employer is insignificant. Where any computer equipment is provided to you solely for work purposes, and there is no significant private use, there should be no tax charge. This tax-free treatment doesn’t apply where the contract for the mobile phone is in your own name and not the company’s name. Where the contract is not in the company’s name and your employer pays for your smart phone the cost is taxed as if it was part of your salary. To remedy this, make sure your next smart phone contract is made between your employer and the telephone provider and you are not a party to that contract. Q. I work as a nurse in a NHS hospital. My professional organisation tells me I can claim tax refunds for the last 6 years, for the cost of the particular shoes and stockings I need to wear for work. Is there a limit on what I can claim? A. There are set limits for such costs, known as flat rate expenses, which vary according to the taxpayer’s profession and work description. The full list of tax claimable flat rate expenses can be found here:http://www.hmrc.gov.uk/manuals/eimanual/EIM32712.htm. Nurses can claim £100 per year as a flat rate expense against their taxable income for uniforms without any receipts but in addition can claim £12 per year for the cost of shoes and £6 per year for stockings or tights. The £100 figure was £70 per year from 2004/05 to 2007/08. However, you need to make your claim quickly, as the deadline for claims relating to 2005/06 is 31 January 2012. The deadline for 2006/07 is 31 March 2012, and for 2007/08 it’s 5 April 2012. However those deadlines only apply if you were taxed under PAYE, and did not submit a self-assessment tax return for those tax years. If you did submit a self-assessment tax return for the year the claim relates to, your claims period is already limited to 4 years from the end of that tax year. In that case the earliest year you can claim for is 2007/08, and the claim must be received by HMRC by 5 April 2012.